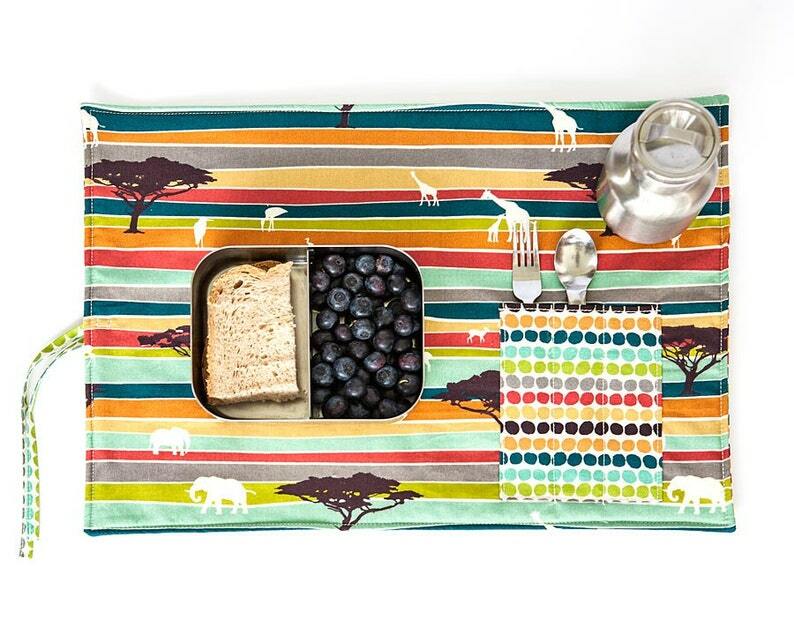 Jungle Placemat with elephants, giraffes. 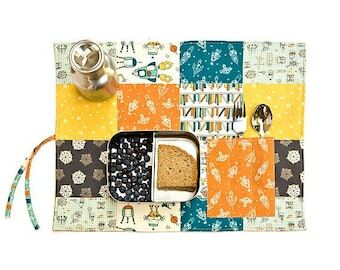 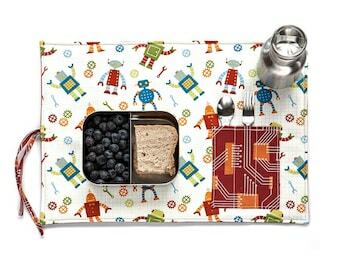 Organic place mat with cutlery pocket in organic cotton for your well-traveled friend. 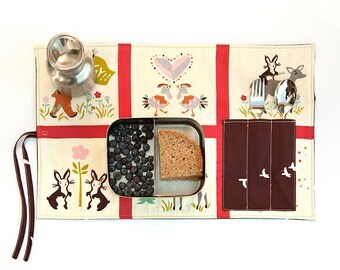 The organic place mat measures 16" 1/2 x 12" (42cm x 31cm).